The contemporary design is known mostly for its simplicity and use of the minimalist practice which means that it doesn’t pay attention to details and tries to use as few decorations as possible while making the area still look elegant and be as practical as it can. But that is not what you are looking for when you want to build a kids room for your children. No, a kids room should be a fun place full of decorations, decals and lots of colors to make it entertaining, especially if your kids are very young. That is everything that the contemporary kids room shouldn’t be if it follows the strict rules of its design, but no, it can break them and create an area that your kids will love and have fun in while still being a part of the contemporary design that is featured in the entire home such as the contemporary kitchen, bathroom,bedroom, living room and dining room. 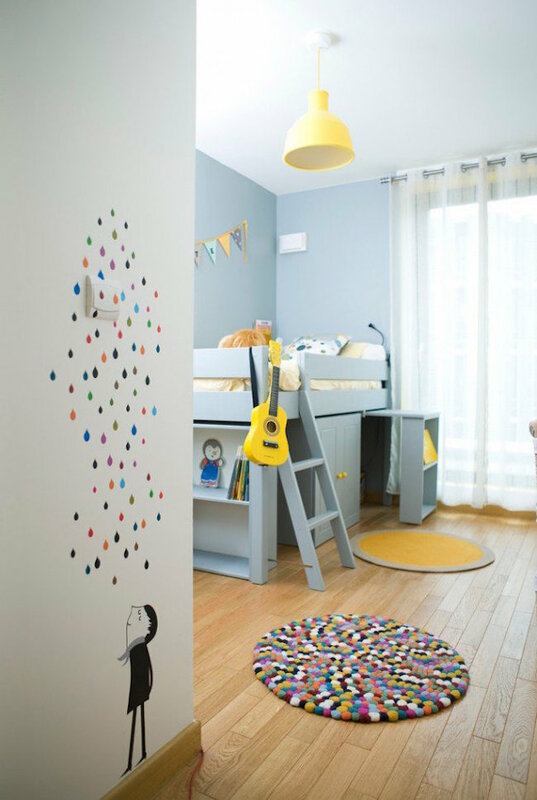 Welcome to the latest interior design collection from the contemporary style showcase in which we have featured 20 Amazing Contemporary Kids Room Designs. This new collection is the home of incredibly creative and inspirational ideas that can give you motivation to decorate your kids’ room. Enjoy!